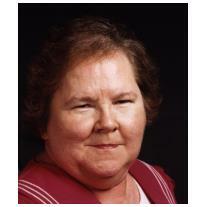 Linda Ruth Taylor Croft age 74, of Crofton, KY passed away 6:56 PM, Sunday, December 31, 2017 at Skyline Medical Center in Nashville, TN of natural causes. Funeral services will be 11:00 AM Saturday, January 6, 2018 at Maddux-Fuqua-Hinton Funeral Home with Pastor Jake Davidson officiating. Burial will follow in Hawkins Cemetery. Visitation will be 3:00 PM until 7:00 PM Friday, January 5, 2017 at Maddux-Fuqua-Hinton Funeral Home. Mrs. Croft was born July 13, 1943 in Evansville, IN the daughter of the late Moscoe E. and Edna Mae Chewning Taylor. She was retired from Flynn Enterprise and worked for the Christian County Board of Education in the cafeteria. Linda was a member of New Palestine Baptist Church where she was the Wednesday night cook and a member of Impact Ministries. She was preceded in death by one daughter, Angela Kay Gentry. Survivors include her husband of 28 years, Adrian Croft of Crofton, KY; one son, James D. Brinlee and his wife, Marlene of Waynesboro, TN; one brother, James “JC” Taylor of Hopkinsville; one grandson, Patrick Brinlee of Waynesboro, TN. Donations can be made to the American Cancer Society.